(CNN) — Seven U.S. Marines were killed in the midair collision of two U.S. military helicopters in southern Arizona, officials said Thursday. The crash occurred during routine training operations Wednesday night along the California-Arizona border, the Marine Corps said in a statement. 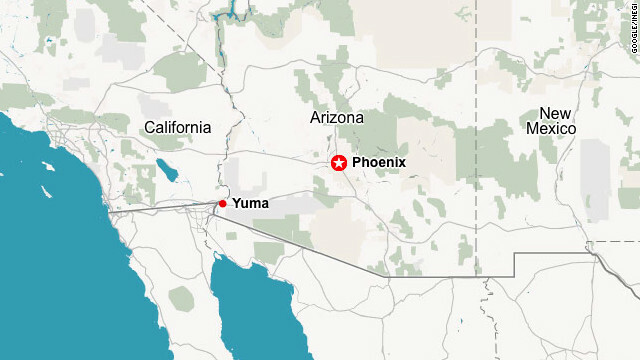 The collision, which occurred near the Marine Corps Air Station Yuma, involved an AH-1W “Super Cobra” attack helicopter and a UH-1Y “Huey” utility chopper. The aircraft were part of the 3rd Marine Aircraft Wing and based in Camp Pendleton in California. Six of the Marines killed in the crash were from Camp Pendleton, and one was from Yuma, the Marine Corps said. Authorities were investigating the collision. This UH-1Y Huey is on the flight line at Camp Bastion, Afghanistan. 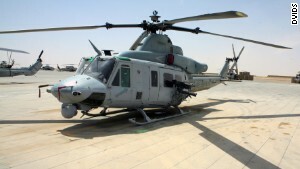 The military has long used the AH-1W and UH-1 Huey for a variety of tasks. The military describes the AH-1W as “the backbone of the United States Marine Corps’ attack helicopter fleet.” The UH-1Y is a twin-engine, medium-size helicopter, according to the military.